The Hong Kong-Zhuhai-Macau (HKZM) Bridge opens to traffic at 9am on October 24 (Wednesday), the Macau government confirmed in a Friday evening press release. The operational launch will follow an opening ceremony to be held in Zhuhai next door to Macau in mainland China’s Guangdong province on Tuesday, October 23, confirmed the Macau authorities. Macau’s Chief Executive, Fernando Chui Sai On, will be among the guests at the Tuesday ceremony. The Macau announcement did not mention whether China’s President Xi Jinping would attend the launch. That had been reported in the South China Morning Post earlier this week. 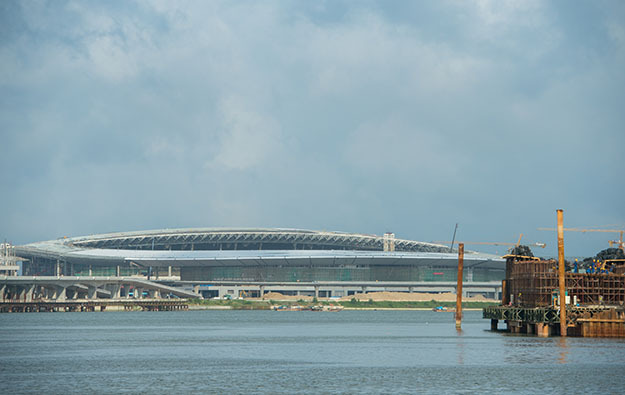 The HKZM Bridge provides for the first time a direct-line road link between Macau and the major international transport hub of Hong Kong International Airport, across the Pearl River Delta. The infrastructure spans 55 kilometres (34 miles) and is the longest sea-crossing bridge in the world. Boundary crossing services for passengers and vehicles travelling between Macau and Hong Kong will be open 24 hours a day, once the bridge is launched, said a follow-up statement. 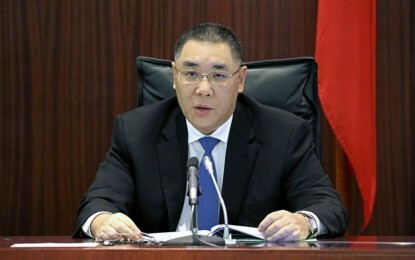 Friday’s initial announcement from the Macau government mentioned the “fundamentals” of the boundary crossing facility had been in place since December 2017, with the local government having been given jursidictional authority over the boundary area since March 15. The Macau announcement added that Mr Chui had made “multiple” visits to the boundary zone since March 15, to assure himself of its readiness. During a Friday press briefing in Hong Kong by local officials there, it was stated that the bridge would enable the road travel time between Hong Kong International Airport and Zhuhai to be shortened from four hours to approximately 45 minutes. During the past week, at least two licensed bus service announced that they would take passengers between Kowloon and several casino resorts in Macau peninsula and Cotai via the HKZM Bridge. Hong Kong-based Kwoon Chung Bus Holdings Ltd announced on Thursday that it would run each day 62 bus trips between Hong Kong and Macau on a round-the-clock basis, with a route that connects Kowloon in Hong Kong to several stops in Macau, including the Galaxy Macau casino resort operated by Galaxy Entertainment Group Ltd on Cotai, and also the Venetian Macao run by Sands China Ltd on Cotai. The bus company is to charge HKD160 (US$20.40) one-way per daytime trip, and HKD180 one-way per night-time trip and on public holidays. Another bus operator called One Bus Hong Kong Macau Ltd has also announced that it will shuttle passengers between Kowloon, Hong Kong and several casino resorts of Sands China – including stops at Sands Macao on Macau peninsula, as well as the Venetian Macao and the Parisian Macao in Cotai. The operator, which says it will provide a daily total of 38 trips between Hong Kong and Macau, is to charge HKD170 one-way per daytime trip, and HKD190 one-way per night-time trip and on public holidays.